Donauwörth is a city in Bavaria in Germany. It is the capital of the district of Donau-Ries. The mayor is currently Armin Neudert from the Christian Social Union of Bavaria. The city is said to have been founded by two fishermen where two rivers meet. The city is on the scenic route called the "Romantische Straße" (Romantic Road). 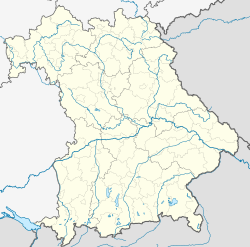 It is twinned with the town of Perchtoldsdorf, Austria. In 1704 the Battle of Schellenberg (or the Battle of Donauwörth) took place there. This was part of the War of the Spanish Succession, and was fought by John Churchill, 1st Duke of Marlborough against the French. The French were defeated and nearly 5000 of them drowned while trying to escape across the Danube. This page was last changed on 27 August 2018, at 17:46.